Last week was a fairly typical week at F.P.D. Home Inspections. We try to limit ourselves to two inspections a day so we ensure that each house and each report gets the time and attention that they require and deserve. We had the usual mix of homes: big and small, new and old. We also had the typical mix of issues to report on. Roof and plumbing leaks and electrical problems stood out. Roof leaks are extremely difficult to find during a prolonged dry spell. On the First Coast, as of this writing, we haven’t had measurable rain in some time. Localized showers here and there but nothing sustained over the entire region that would show hidden leaks. The first place that a roof leak shows up is usually in the attic. Even this time a year with temperatures in the low 80s it gets to be very warm in an attic and all moisture is quickly dried. 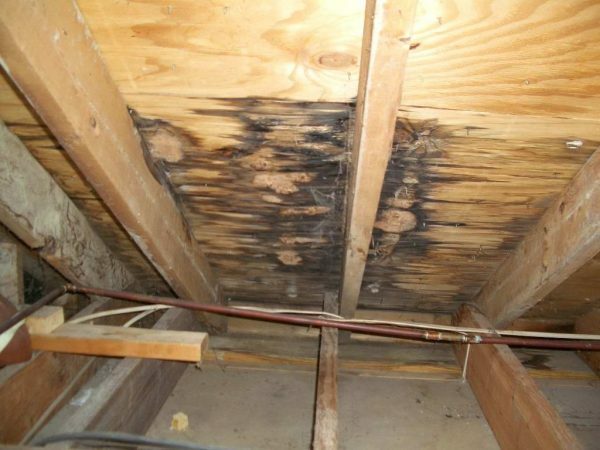 Sure, there can be telltale signs if the leak was significant; stains and occasional physical deterioration of the roof decking boards and trusses, texture changes to the insulation below, and of course interior ceiling stains. Luck was on our side and we received a significant rain shower the night before an inspection of a beautiful home in Ponte Vedra Beach. 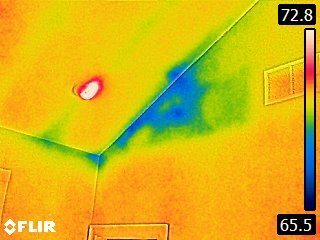 Our FLIR infrared camera picked up some moisture on a dining room ceiling of this newly constructed home. The water originated from a second level gutter and downspout that was dropping water under the shingles above the dining room. This is a common practice in Florida to have collected water from a gutter deposited onto a lower roof below where it runs down the shingles to be collected again. This can cause premature aging to the roof covering that is constantly hit with the added water. When this is done it’s important that the water is directed to flow in the same direction as the shingles, top to bottom. In this case the water was hitting the shingles on the side, at a 45 degree angle forcing water under the shingle. A simple repair and simple fix and hopefully many happy years ahead for the family in their new home. Water problems don’t all originate outside and we discovered several plumbing leaks under bathroom and kitchen sinks last week. Three different houses were afflicted with this condition. 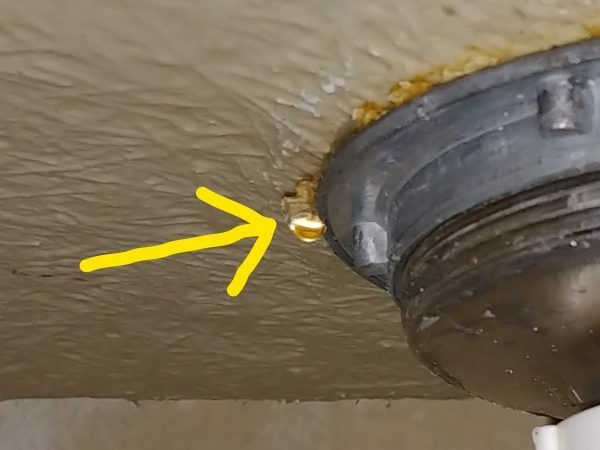 I get strange looks sometimes from agents and buyers when I run the hot water for ten minutes in a sink but it can take time for a leak to show itself. Why hot water you ask, because it shows up so clearly in the infrared photos. Plumbing leaks are usually an easy fix. The trouble is when the leak has led to water damage to the cabinet and the surrounding area and worse yet if mold has developed. Older houses take additional time to inspect. There are some inspection companies that charge extra depending on the age of the house. Ten dollars extra for every ten years old, so a fifty-year-old home may cost an extra fifty dollars. At F.P.D. we don’t charge this way, but I do understand why some companies do. Two houses from last week stand out for me because they both had the same problem: a handy owner who was used to fixing everything himself. This can be good for a home and it can be bad. Typically when it comes to electricity it spells trouble. 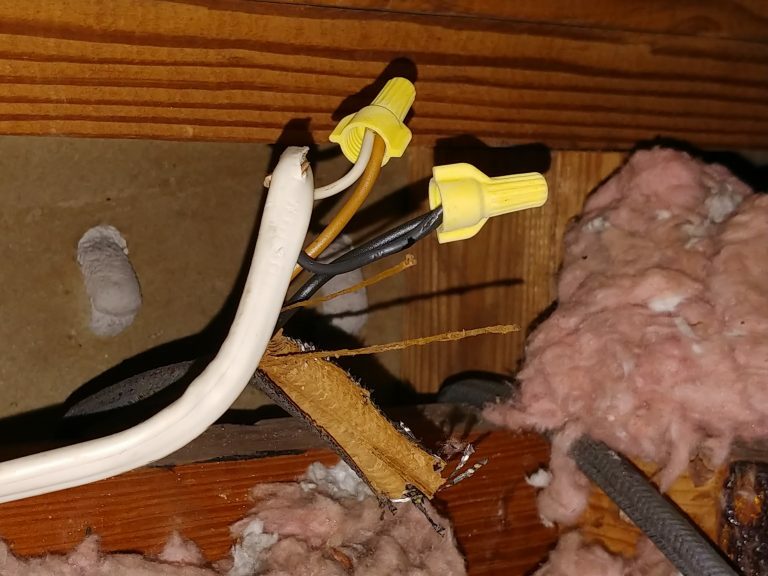 Both of these houses had open wire connections in the attic, mix matched breakers in the service panel, and outlets with reverse polarity (neutral wires attached to hot lugs). All these issues come with their own set of hazards and could have been avoided. The moral of the story is that unless you’re a licensed electrician, you should probably hire one to complete any electrical work in your home.